This sweet client comes pre-installed with OptiFine which improves a lot of the graphic aspects of Minecraft and gives you much more control of the graphic settings. 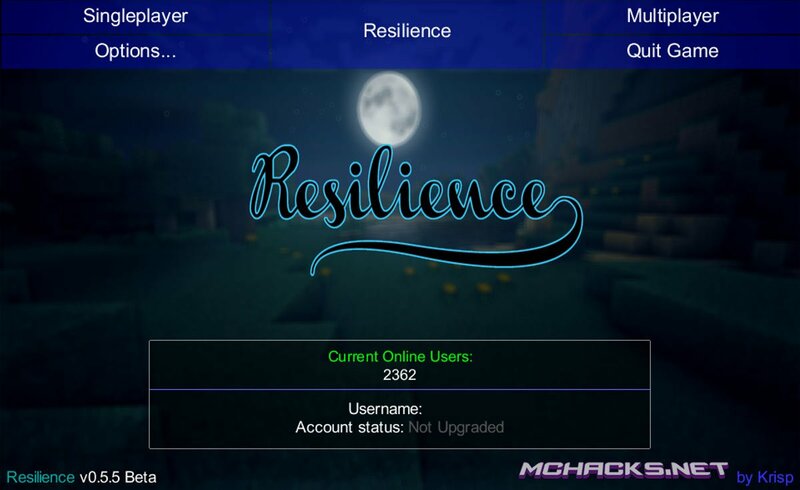 Besides OptiFine this client is PACKED with great features – lots of PvP features, nuker, Xray, ESP and much more ! This client works in both multiplayer and singleplayer. 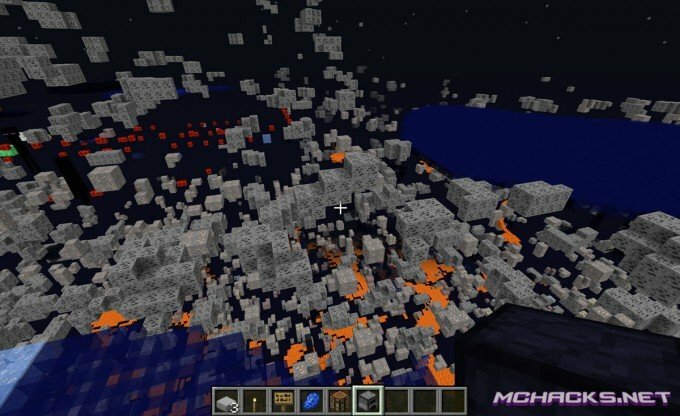 But beware, using Minecraft hacks on servers may get you banned. 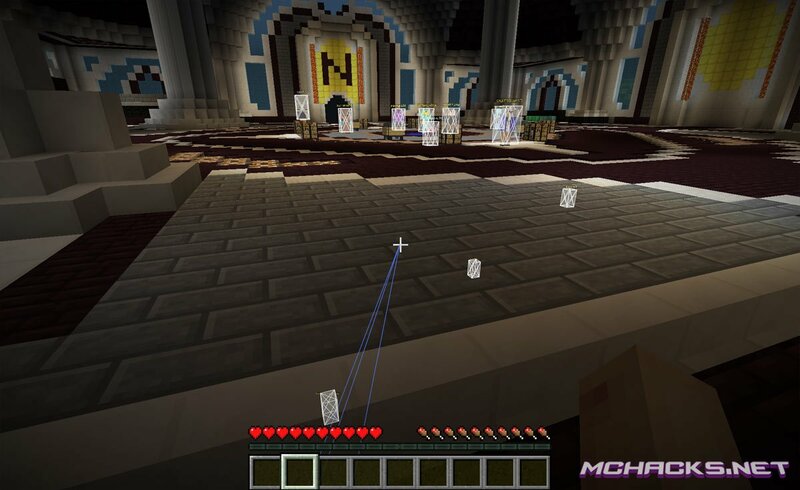 AutoBlock [NCP] – Automatically blocks when using Kill Aura. AutoDisconnect [NCP] – Auto quits at x hearts (default is 3 hearts). AutoFish [NCP] – Automatically pulls back line after fish bite and recasts. AutoJump [NCP] – Automatically jump. AutoSoup [NCP] – Automatically eats soup for you when your health gets low (KitPvP servers). AutoWalk [NCP] – Automatically walks for you. Breadcrumbs [NCP] – Draws a line behind you wherever you walk. Brightness [NCP] – Makes the world brighter. 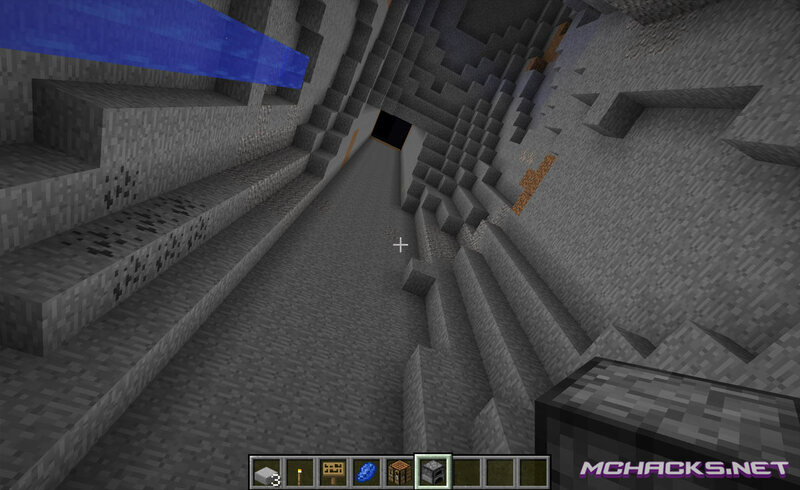 CaveFinder [NCP] – Shows where caves are. ChestESP [NCP] – Draws a box around chests. Fastbreak [NCP sorta] – Breaks blocks faster than usual and gets rid of the break delay. 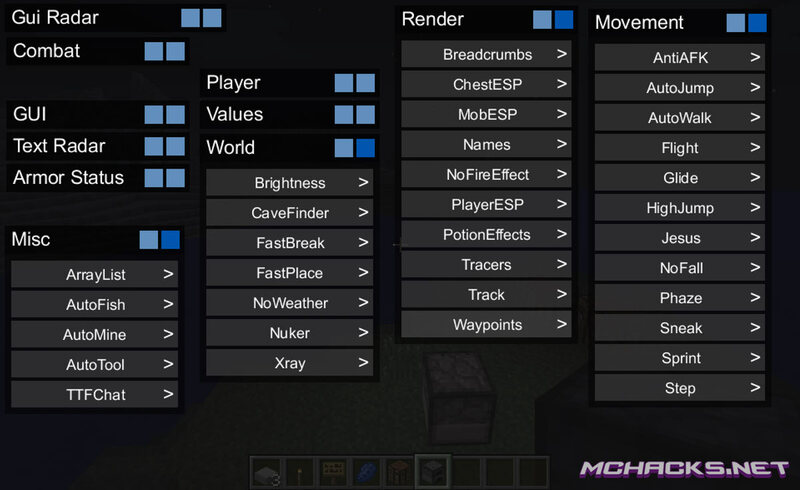 Fastplace [NCP] – Removes the right click delay. Flight – Allows you to fly. Freecam [NCP] – Allows you to walk outside of your body and go through walls to inspect other parts of a map. Glide [NCP] – Allows you to glide. Jesus – Allows you to walk on water. KillAura [NCP] – Automatically attacks entities. NameProtect [NCP] – Protects your name in the chat etc. by replacing it with your client name. Names [NCP] – Makes name tags larger, more distinct, and shows the player’s distance away as well as their current health. NoFall – Prevents fall damage. NoWeather [NCP] – Stops rain/storms on the client side. Nuker – Breaks blocks very very fast. PlayerESP [NCP] – Draws a box around players. Sneak [NCP] – Automatically sneaks for you. Sprint [NCP] – Automatically sprints for you. Tracers [NCP] – Draws a line to all loaded players. Xray [NCP] – Allows you to see through blocks to find ores. Navigate to the “%appdata%/.minecraft/versions” folder. Move the “Client [version]” folder to your versions folder. The client folder should contain a jar and a json file. Click “New Profile”, set the “Use verison:” to “release Client [version]“. Choose the newly created profile and start playing!